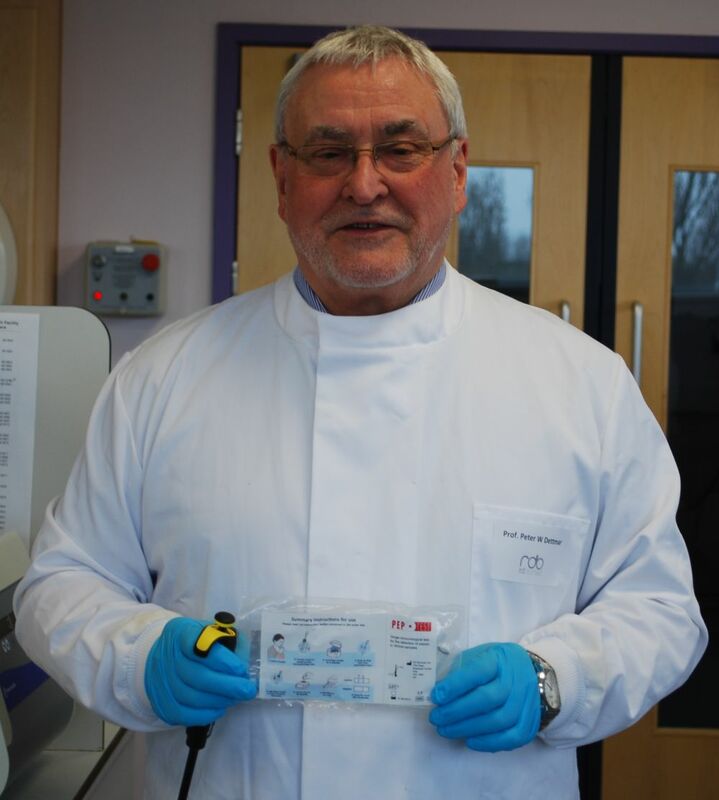 Peptest has been developed by UK-based RD Biomed, a pharmaceutical development and diagnostic company based at Castle Hill Hospital in Hull, East Yorkshire. Innovators in healthcare product development, RD Biomed focusses on gastroenterology and wound management and develops products that identify, prevent and treat various medical conditions. In Peptest, RD Biomed has developed a novel diagnostic test which can rapidly detect the gastric enzyme pepsin in saliva/sputum and exhaled breath condensate samples. Professor Peter Dettmar launched RD Biomed and is the company’s managing director. Professor Peter Dettmar is the former global Research and Development Director in Gastrointestinals for Reckitt Benckiser Healthcare (UK) Limited. He has extensive experience in running product development programmes and clinical trials and more than 35 years’ experience of the pharmaceutical industry. He has a Special Professorship with the School of Pharmaceutical Sciences University of Nottingham, UK and was Adjunct Professor and Director of Research at the Centre for Voice and Swallowing Disorders, Department of Otolaryngology, Wake Forest University Baptist Medical Centre, Winston-Salem, USA. He has a PhD. in pharmacology from the University of Bradford, UK and is a named inventor on over 40 patents. He has supervised more than 70 successful PhD. studentships and has authored or co-authored over 480 scientific publications. Professor Dettmar has organised national and international conferences and workshops, including a series of meetings on reflux disease and symposia on human pepsin. He also gives numerous national and international lectures. Peter has a special interest in reflux disease, pepsin, bile acids, mucosal protection, salivary mucins, bioadhesion, H. pylori, nutrition, dietary fibres/functional foods, Irritable Bowel Syndrome (IBS), Inflammatory Bowel Disease (IBD), polymers/biopolymers, cell biology and has established international research and clinical networks that are core to research in these areas. Thank you for your interest in Peptest. To arrange a demonstration, meeting or for more information, please use the contact form below. Peptest™ is a single use in-vitro diagnostic device not for ingestion. It conforms to the European Directive 98/79/EC on in-vitro Diagnostic Medical Devices; this is shown by the CE mark of conformity. 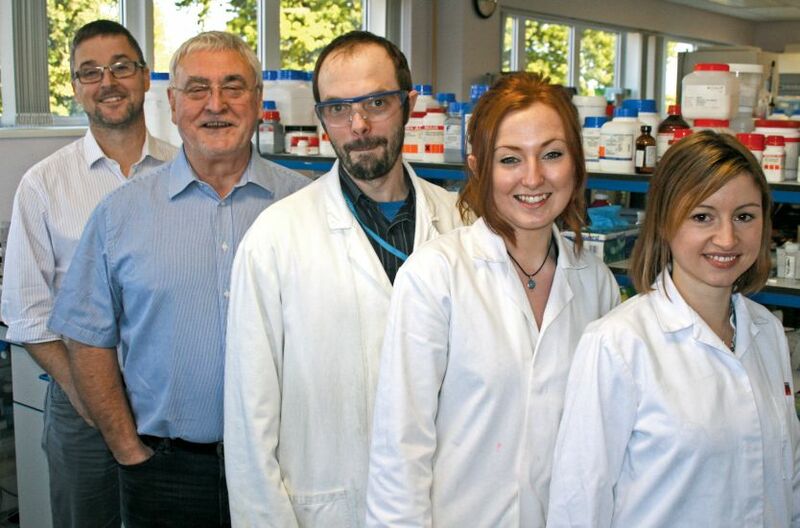 Peptest™ kits are manufactured in the UK by RDBiomed Limited.